When Girlosity Cosmetics sent me the Nature's Vivids collection to review here, they also sent me three of their previous collection as well. Here are the three I received. 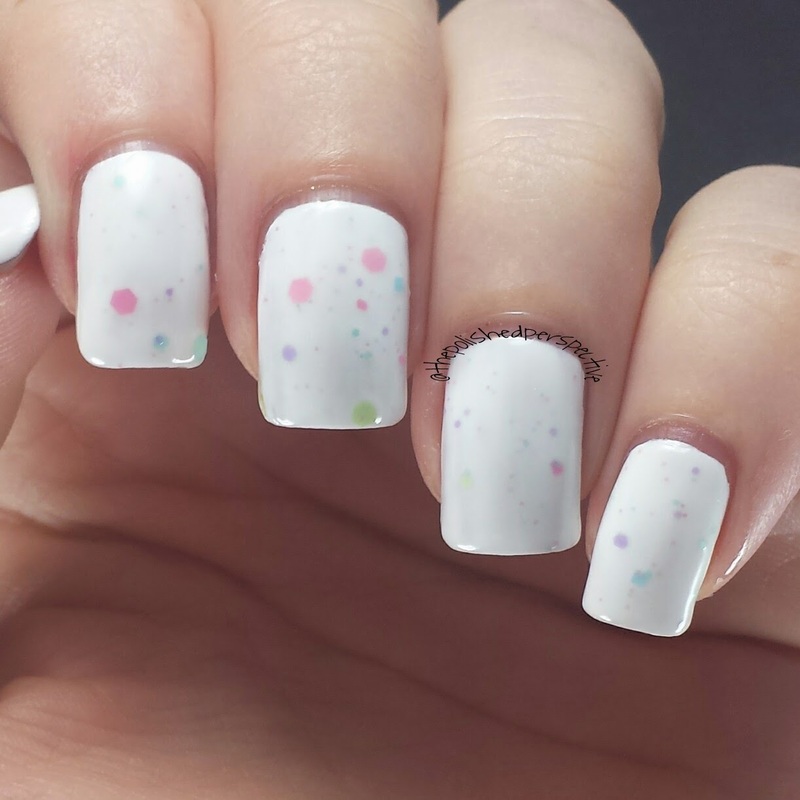 Pastel Dreams: a white crelly with soft pastel glitters. 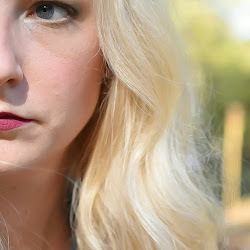 Shown over a white base (Milani, Spotlight White). 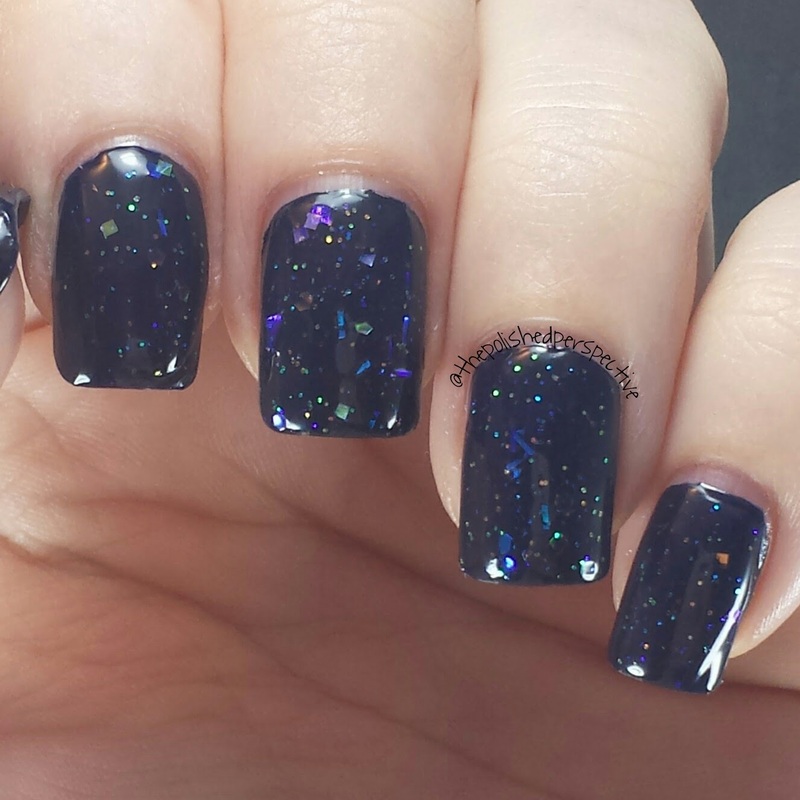 Heavenly Holo: an ultrafine holographic glitter topper. 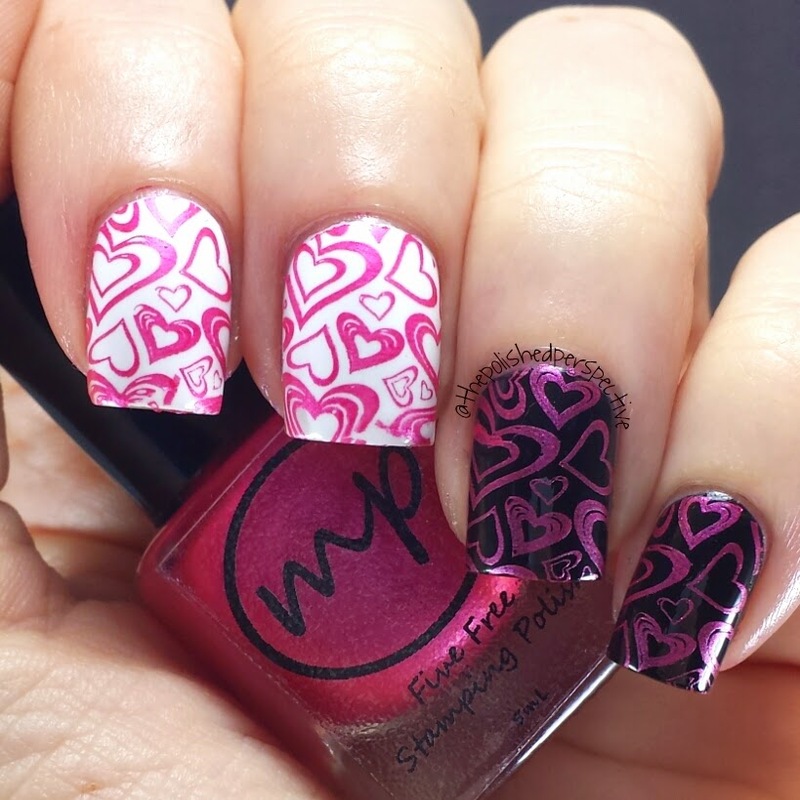 Shown over hot pink (Milani, Hot Pink Rage). 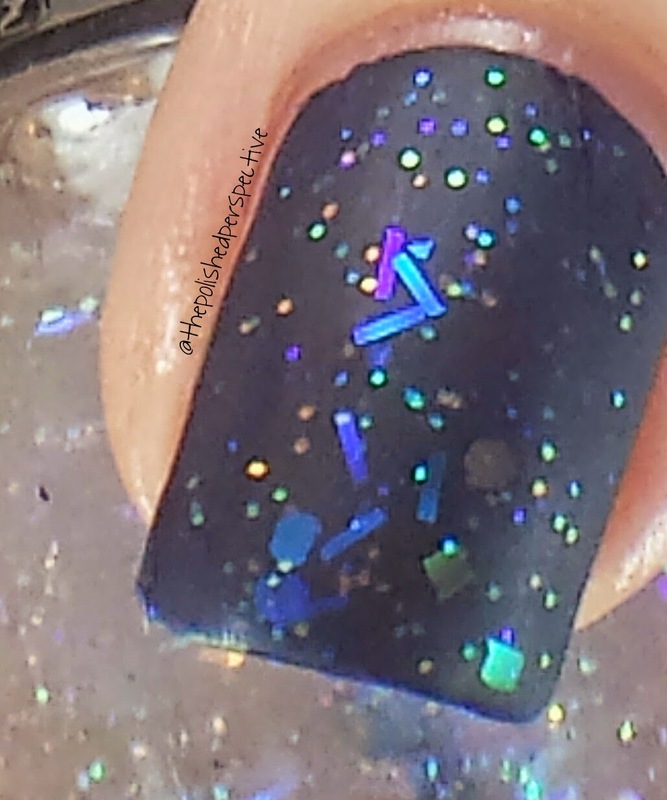 Opal: iridescent glitters in different sizes along with color shifting flakies and slices. Shown over a navy base (Milani, Ink Spot). I used two coats of each of these over a base. Their formulas were good. My favorite was Opal because the glitters and flakies showed well over a dark base without a matte top coat. I mean, it does look awesome matte, but I also like the option of leaving it glossy and still being able to enjoy the flakies. Overall, I enjoyed these polishes and I can't wait to see what Girlosity Cosmetics comes up with for future collections. I was provided four of the Nature's Vivids Collection by Girlosity Cosmetics to swatch and review. Alexandria, creator of Girlosity Cosmetics, stated she was inspired by the beautiful things created by mother nature that are vivid in color. Below are swatches of four of the six glitters from the collection with Alexandria's reason for inspiration, followed by my review. 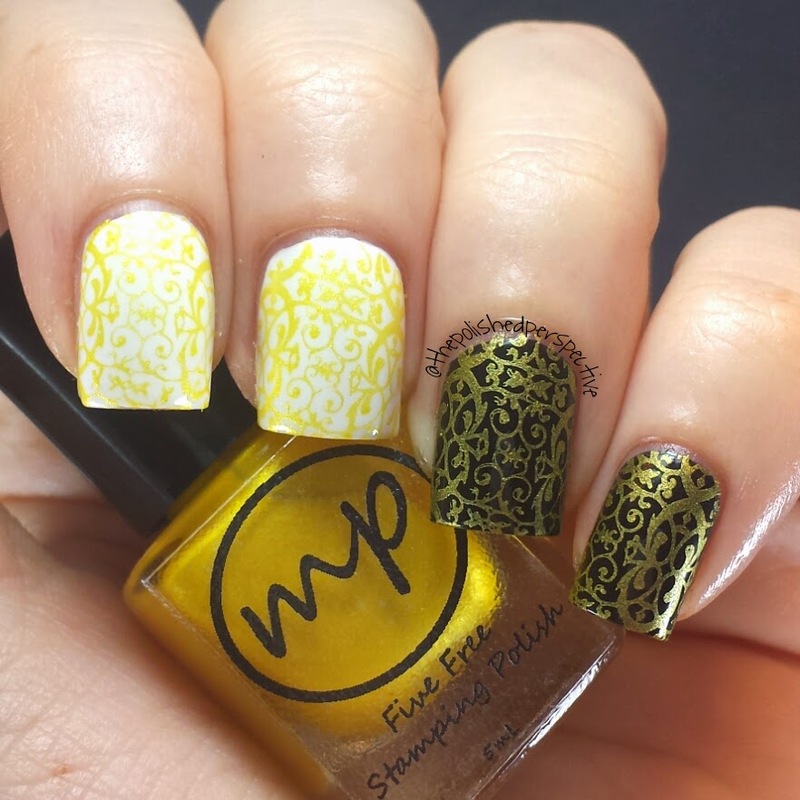 Gold Rush: a holographic bright gold glitter inspired by the gold found naturally in the world. This is shown over a gold base (OPI, Love.Angel.Music.Baby). 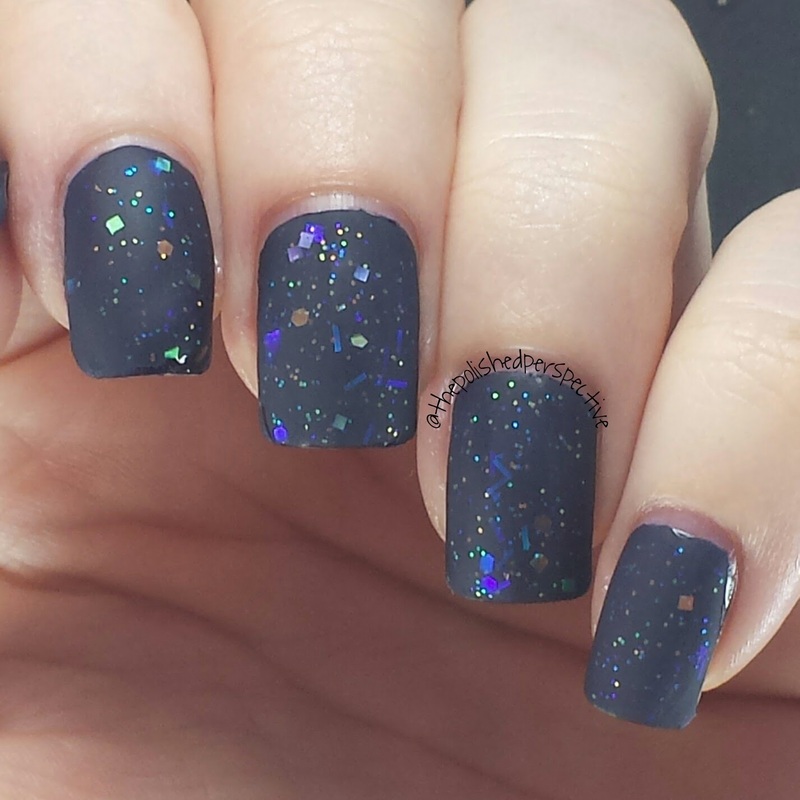 Liquid Diamonds: a holographic silver glitter that resembles the glow of diamonds. This is shown over a silver base (OPI, This Gown Needs a Crown). 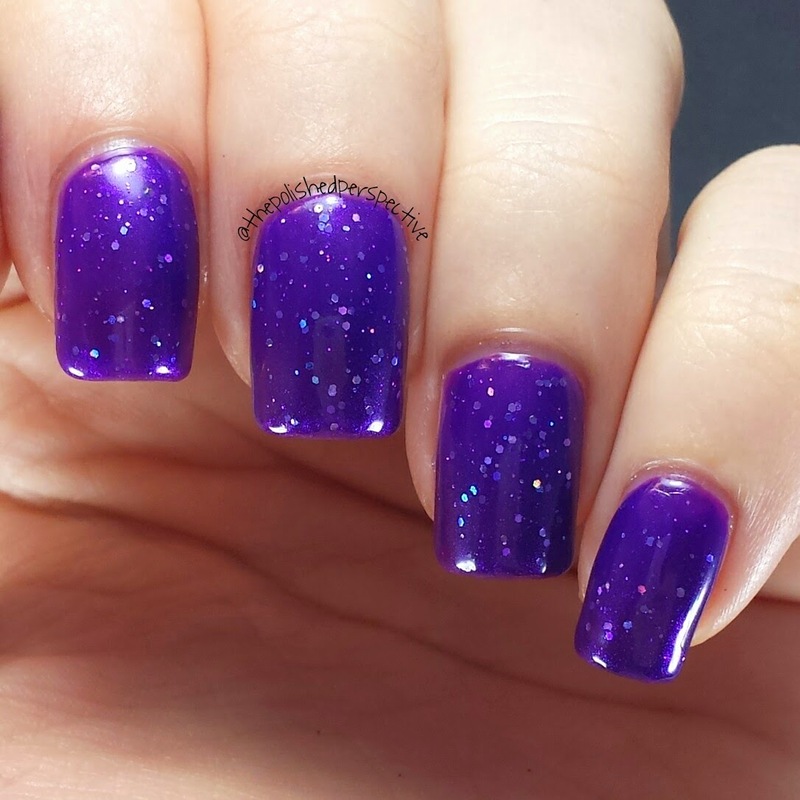 Violet Sky: jewel tone purple with ulta-fine violet holo that has hints of dark magenta when it catches the light and small violet holographic glitters. This is inspired by the beautiful purple tones found in the sky as the sun sets; just turned up a notch or two! This is shown over a purple base (Finger Paints, First Edition). 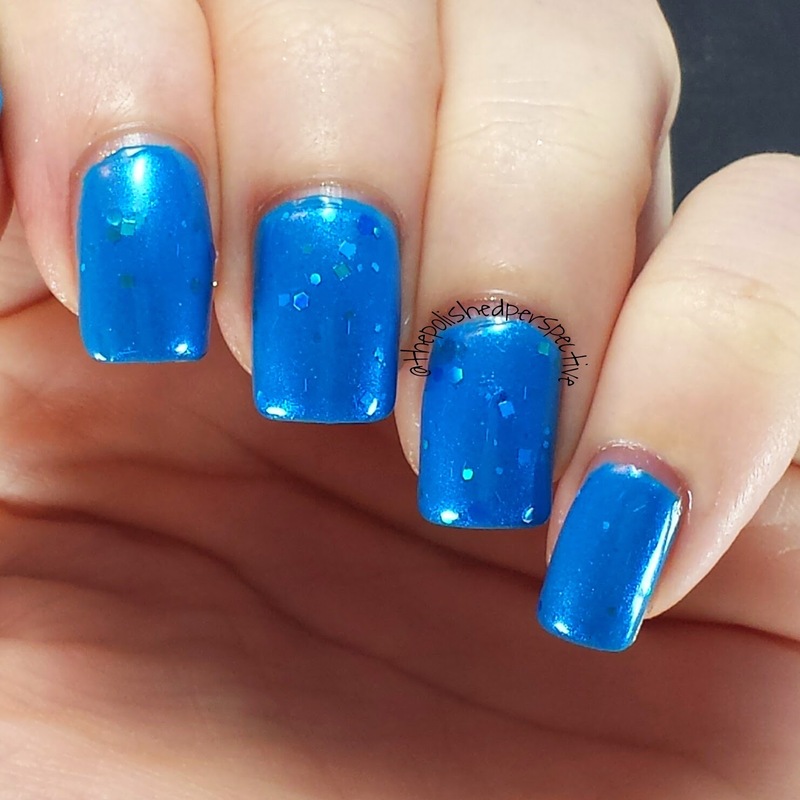 Pacific Breeze: shimmery cobalt blue with iridescent green and dark blue/green glitters in various sizes. 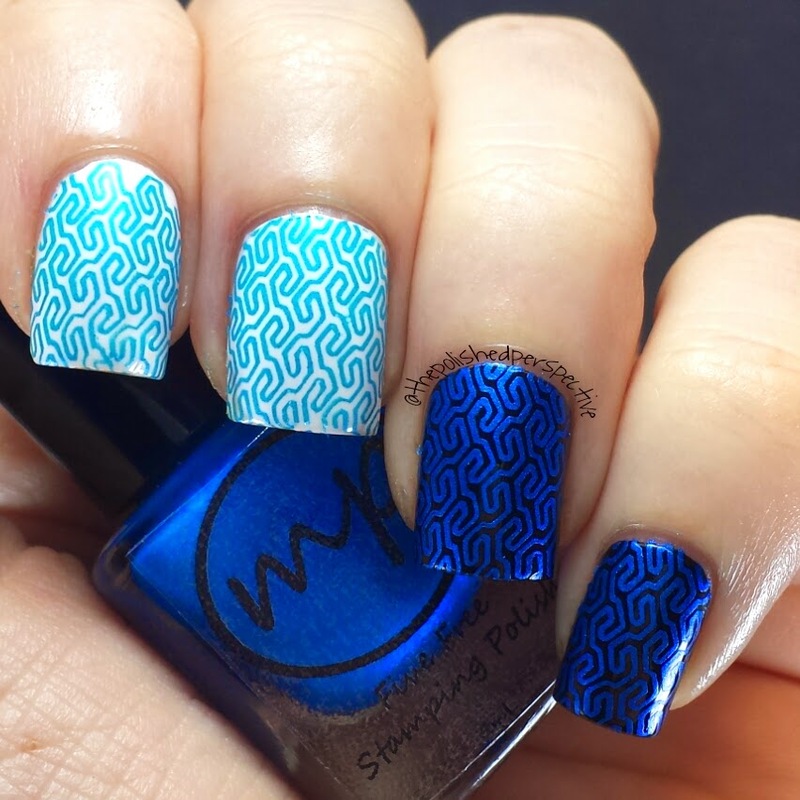 This is inspired by the bright blue sparkling ocean waters in nature. This is shown over a blue base (Sinful Colors, Why Not). 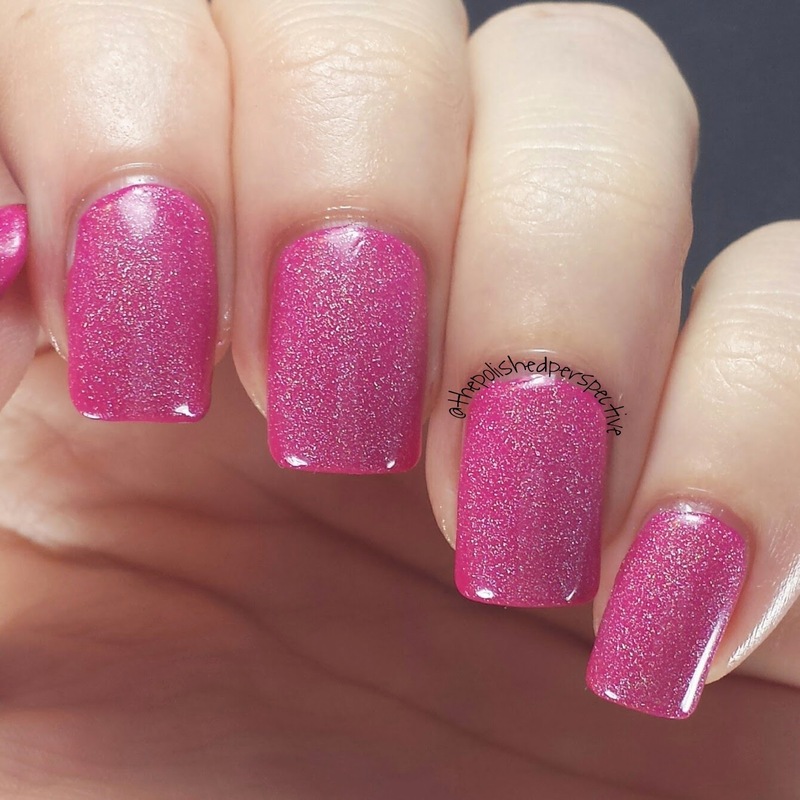 As far as formula goes, it's what you would expect from an indie glitter. It's thicker than a mainstream polish but still easy to use. I like glitters with a thicker base. To apply this type of glitter, I use one thin coat and then slap the second coat on thick and blobbing where I need coverage. The gold and silver have a clear base while the blue and purple have tinted jelly bases. These can be built up on their own on the nail, but I prefer not to. I tried Violet Skies alone, with three medium coats, and there was a slight visible nail line. I don't like visible nail lines, so I used them over similar colored bases. I like these glitters. My top picks are Liquid Diamonds and Violet Sky. The holographic sparkle of Liquid Diamonds and Violet Sky are beautiful and purple is my favorite color, so those are the two I gravitate to. This collection is releasing on May 2, 2015 with six shades. The other two shades are a bright magenta with pink holographic glitters and teal with fine teal holographic glitters. I can't wait to see swatches of those two. I bet they're beautiful! 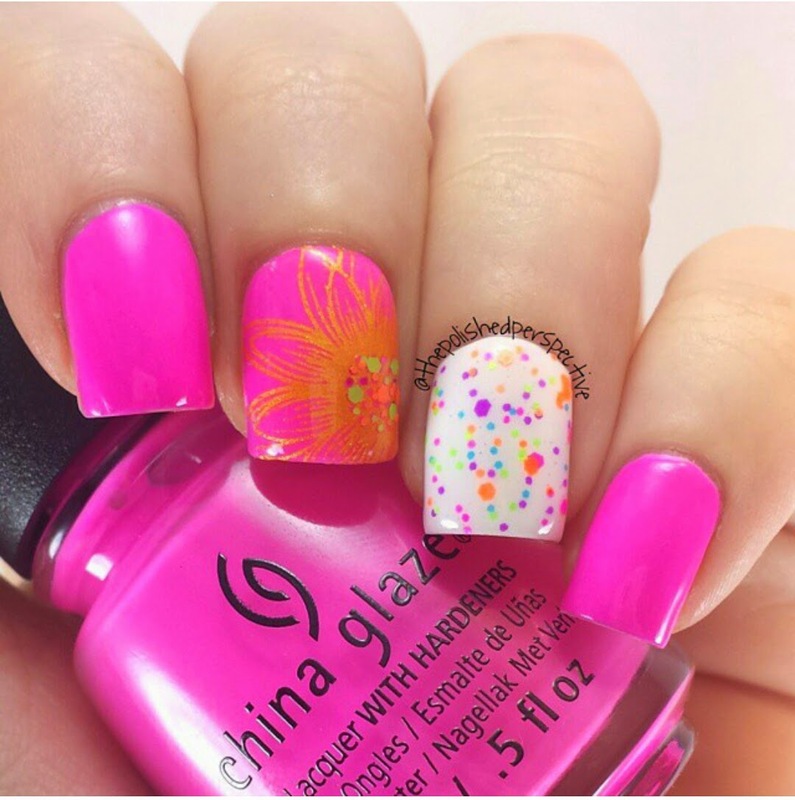 You can find these beautiful glitters at this link Girlosity Cosmetics. I was also provided three shades from her previous collection to swatch and review, so keep a lookout for that. 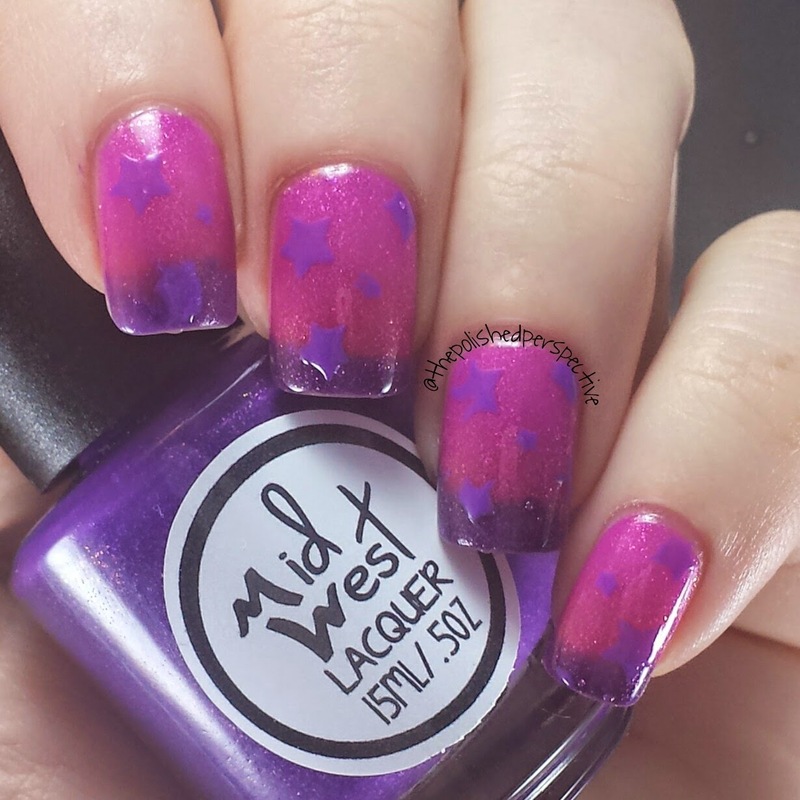 I love to buy nail vinyls from Vinyl It Up, so when Lizzie (creator of Vinyl It Up) asked me to swatch her line of thermal polishes, I was more than happy to swatch! 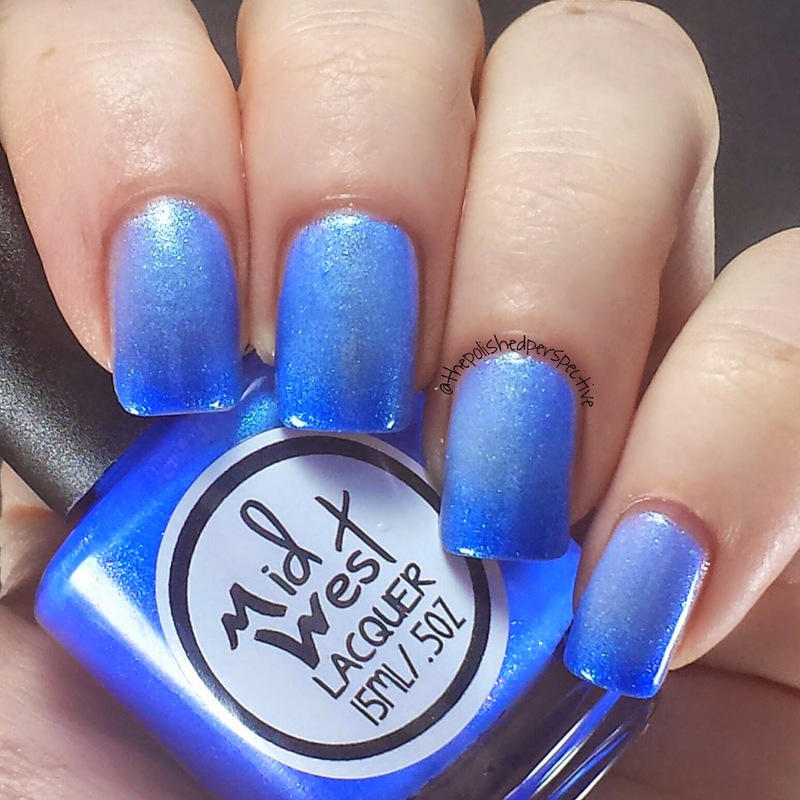 The name of her new line of indie nail polish is Midwest Lacquer. 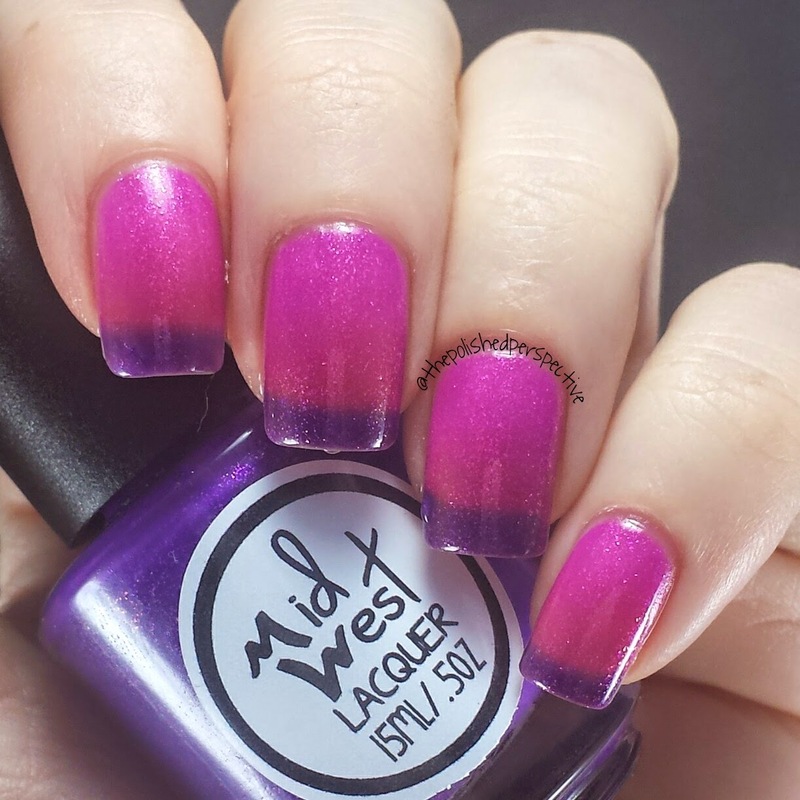 These thermal polishes by Midwest Lacquer that I'm showing you today were created to bring awareness and support to the Children's Tumor Foundation, and Kendall's Crew. You can read more about the foundation and Crew here. These polishes will be selling at the Spring Craft and Vendor Fair in West Chester, Ohio on May 2, 2015. 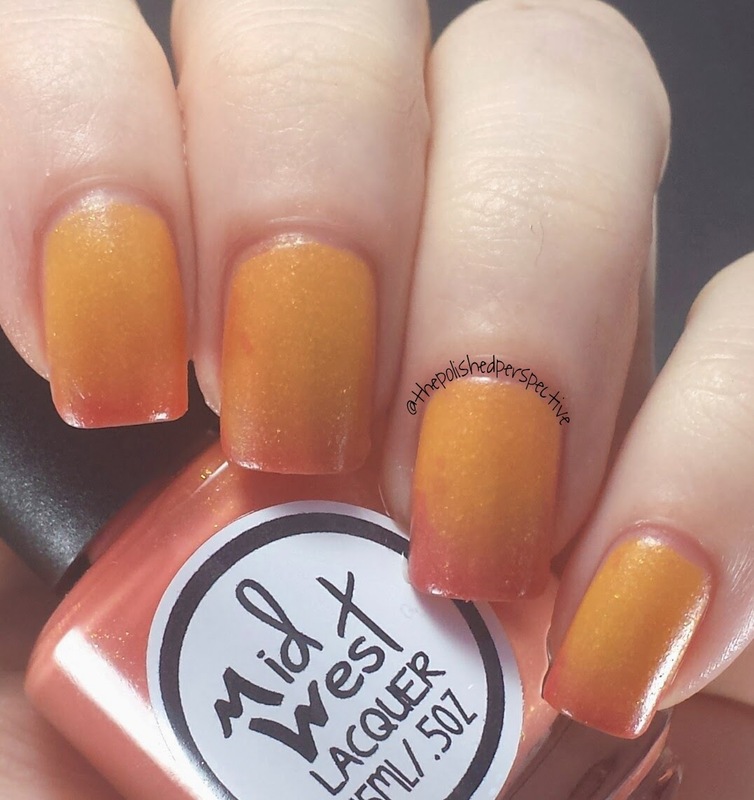 Cincy Sunset: This is a peach to coral thermal, packed with shimmers. It really does look like a sunset. 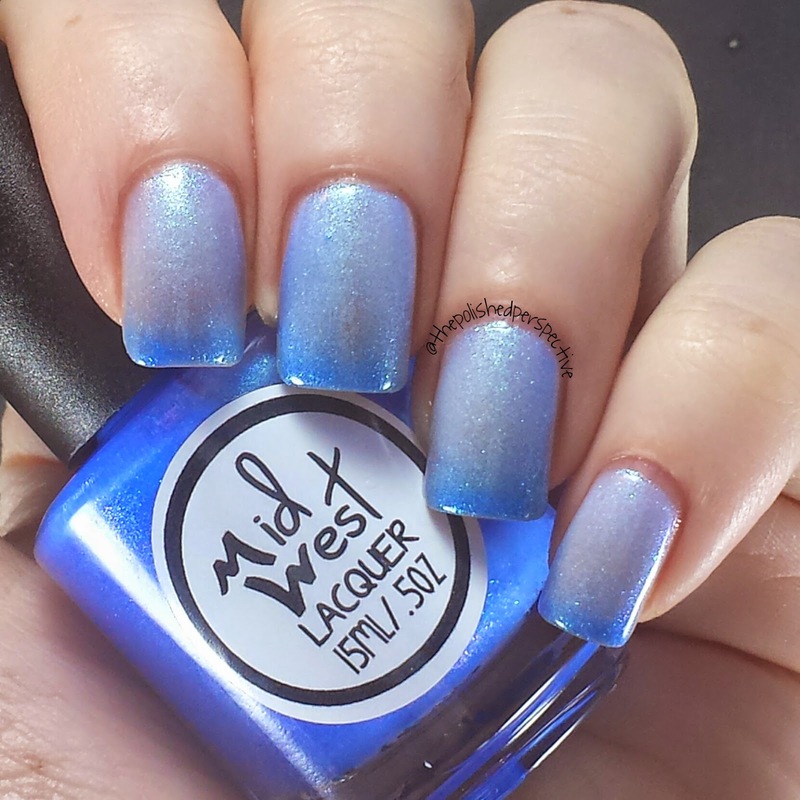 endNF: a frosty sheer white to bright blue thermal polish, packed with aqua and pink flashes. 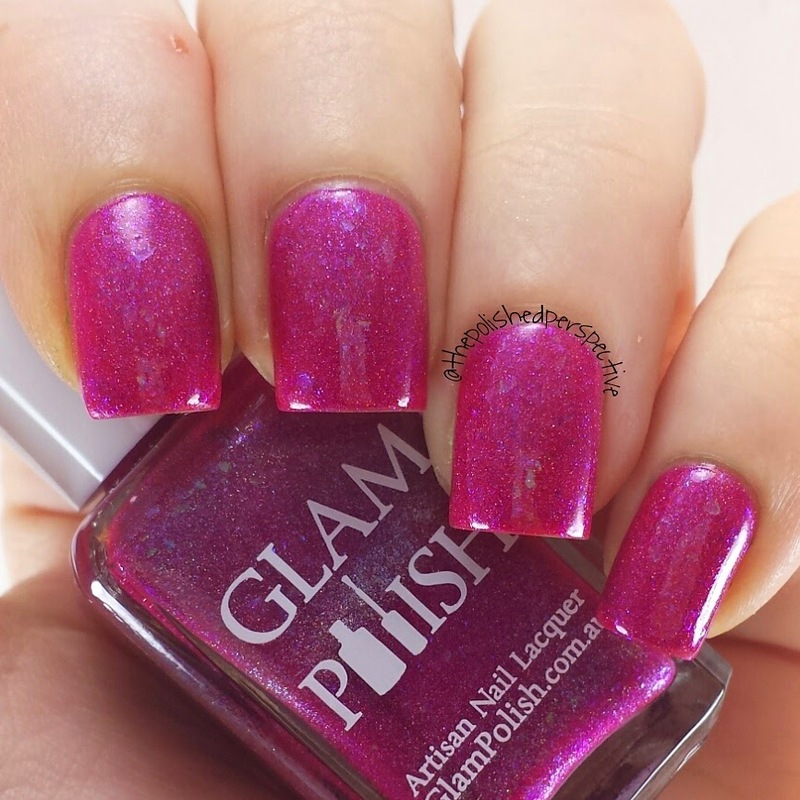 Popple: a magenta to royal purple thermal with a strong pink shimmer. This one was my favorite of the three. It's so bright and the transition is very strong and bold. These thermals are stunning. The transition from hot to cold is very strong in endNF and Popple. Cincy Sunet's transition is more subtle but still beautiful. 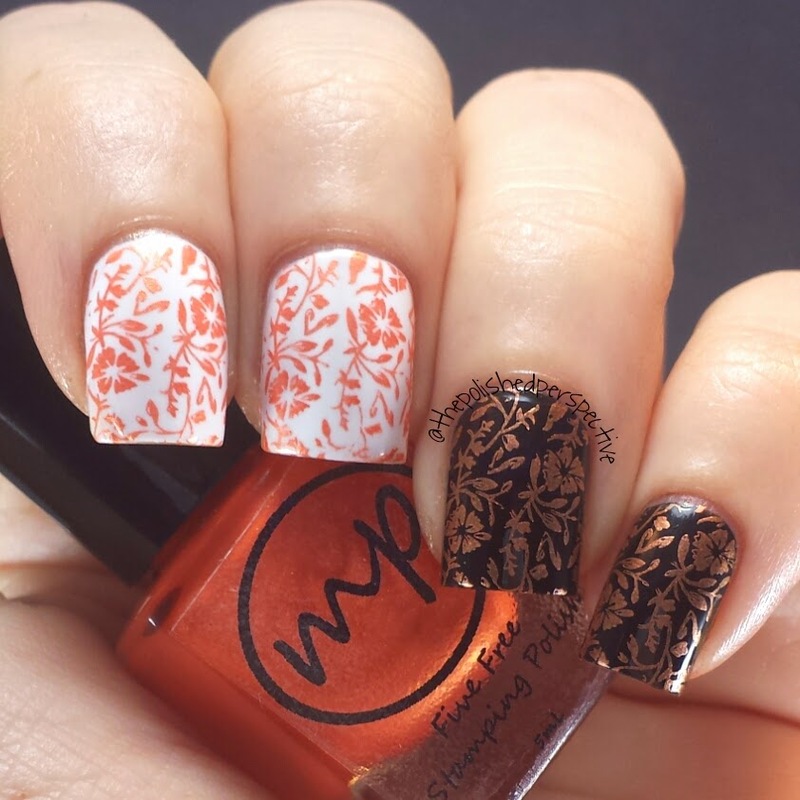 All swatches are shown with two coats plus a quick dry top coat. Want to have more fun with these thermals? 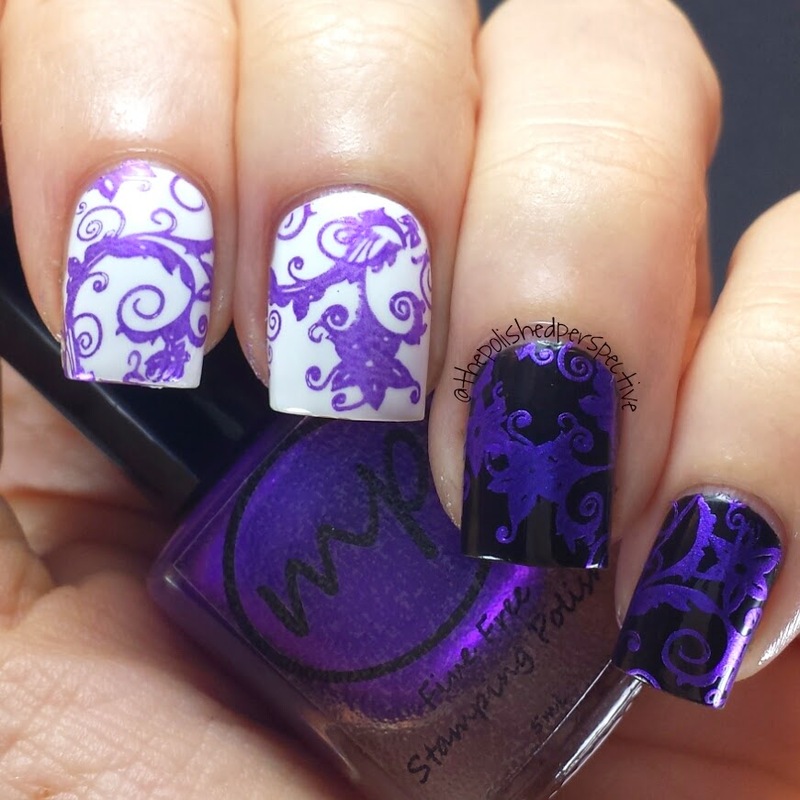 You can use these thermals with Vinyl It Up's nail vinyls. 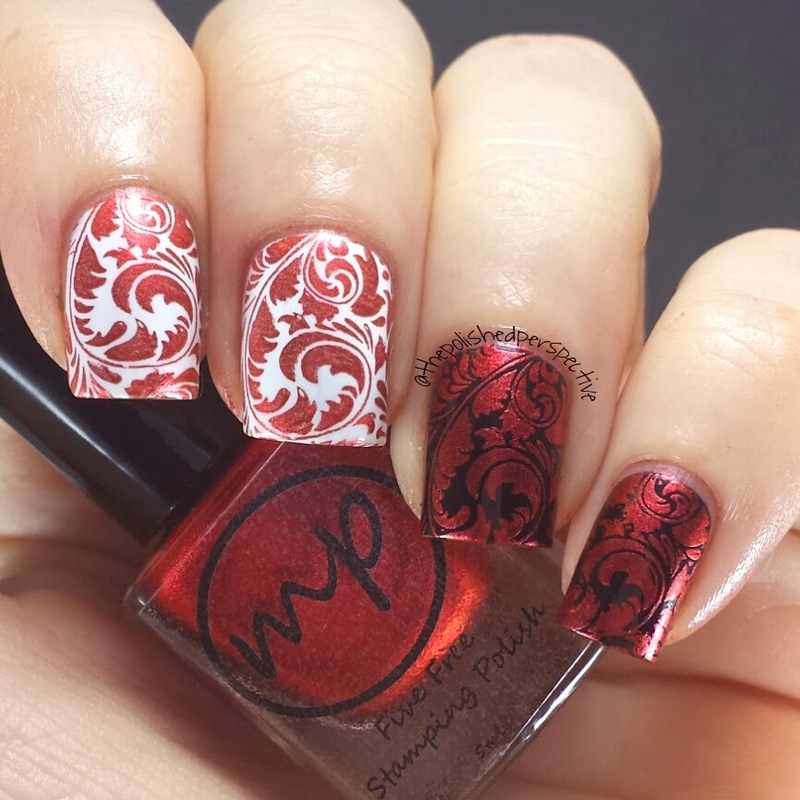 You can use a similar non thermal polish over the thermal polish and watch your design disappear and reappear with temperature change. You can also use a different color from the thermal and watch your design have different backgrounds dependent on temperature. Need a tutorial? You can watch a sped up version on my IG @thepolished perspective. Want to watch it slower? You can watch the slowed down version here YouTube. And here is the fun vinyl design I created using Popple and the star stencil from http://shopvinylitup.com/. 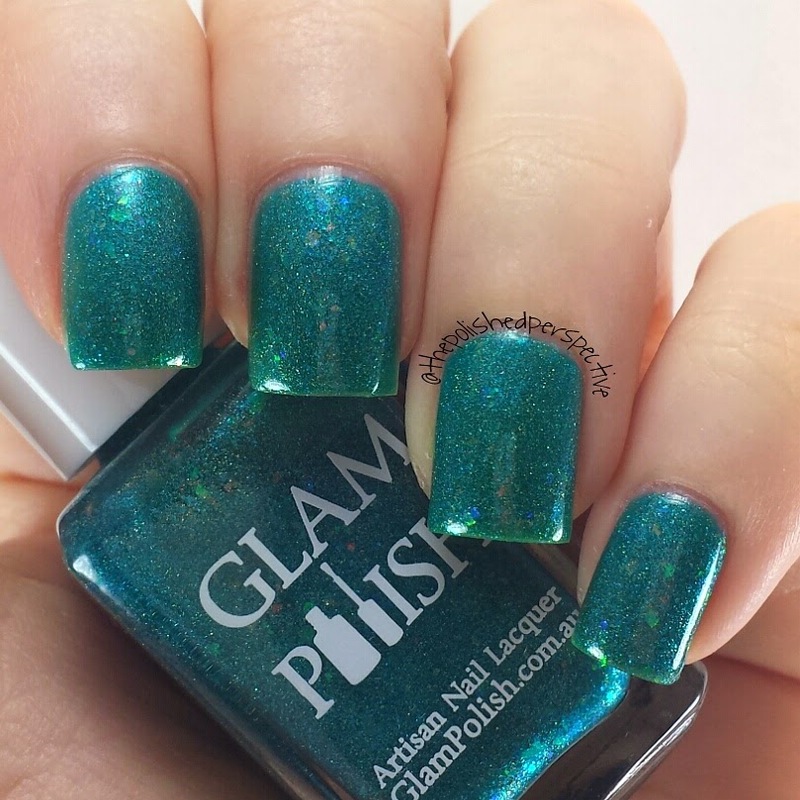 Glam Polish released their second part of the Over the Rainbow flakie limited edition in March, 2015. I bought two that I convinced myself I could not live without. I was right. While I have a lot of flakies, I just don't love them like other polishes. 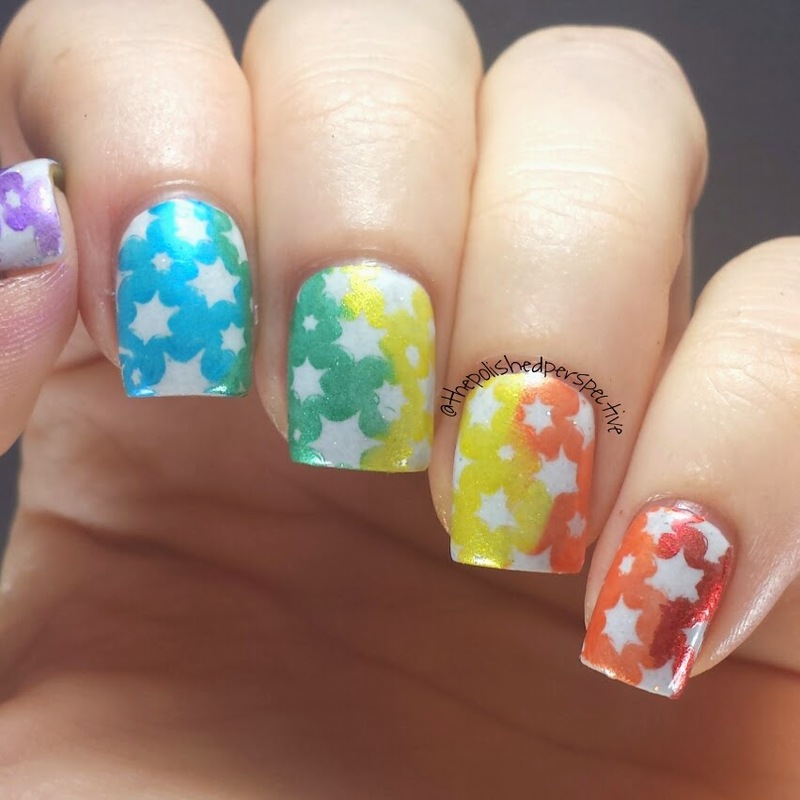 But, these and Part 1 Over the Rainbow flakies are awesome. They look like they float in the polish. It's just beautiful. Aren't these beautiful? Ko Olina and Ke Aloha have a great formula that go on in two coats. Ko Olina is a wonderful medium teal and Ke Aloha is a beautiful magenta. 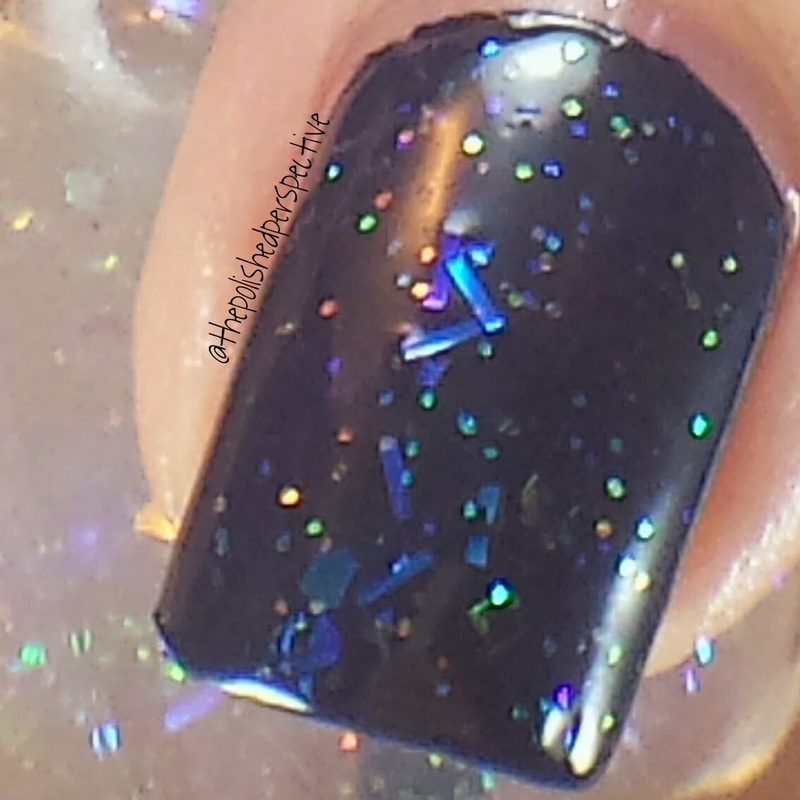 They both have scattered holo and iridescent flakies. 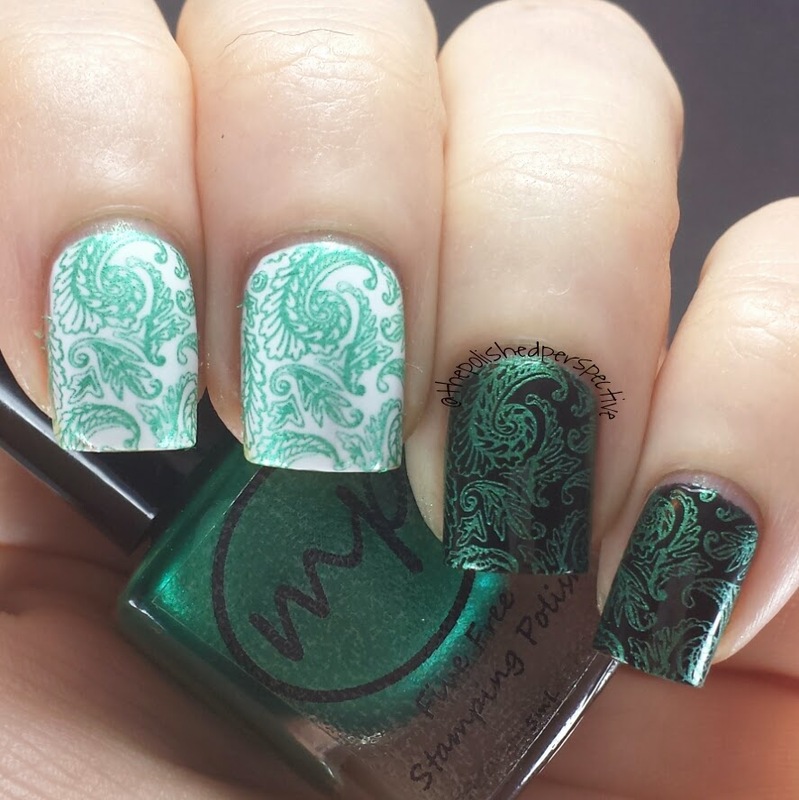 The flakies are very obvious even though they are not matte. I was happy about that. 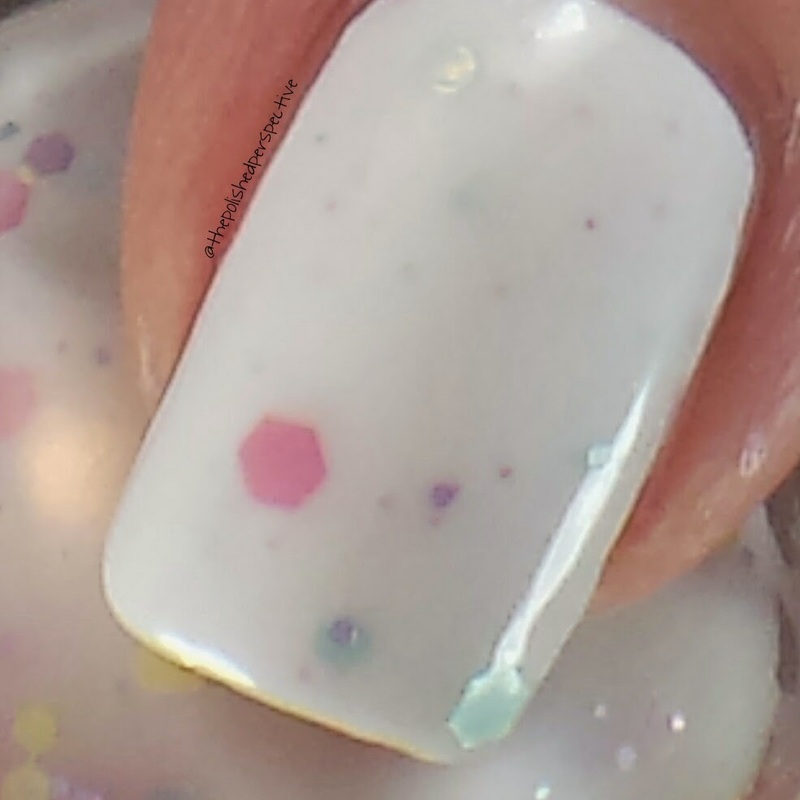 I have a few flakies that only show up if I matte them and sometimes I just don't want to matte my mani.